Infor VISUAL Support Tips & News: WEBINAR TOMORROW: Join us for the VISUAL 9 Launch Party! WEBINAR TOMORROW: Join us for the VISUAL 9 Launch Party! 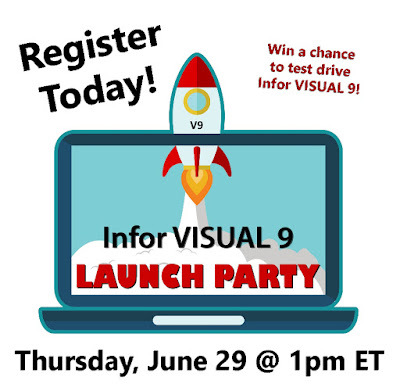 INFOR VISUAL 9 LAUNCH PARTY - YOUR CHANCE TO TEST DRIVE VISUAL 9!